Demure Look is a company which specialises in high-quality silk scarves. I reviewed some of their products back in September here. They've recently brought out lots of new styles, and I was sent three of them to review; the Plain Silk Mix Scarf in Turquoise, Two tone Pure Silk Soft Touch Scarf in Cappucino-Cream and Silk and Viscose Stripe Scarf in Cream (pictured below). As before, the scarves were carefully presented wrapped in silver tissue paper, inside a silver corrugated gift box. The fabric of each scarf is slightly different. 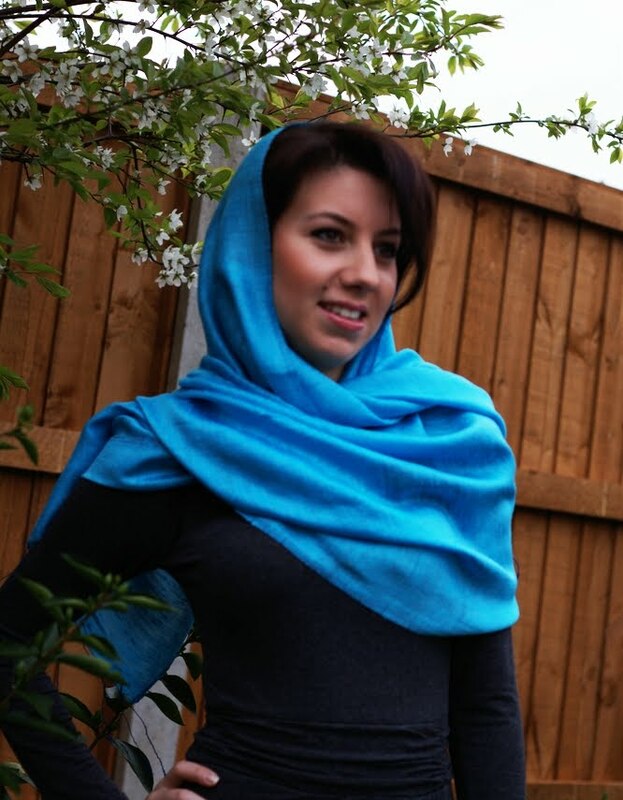 Firstly, the Plain Silk Mix Scarf has a textured look and feel to it, and the turqouise colour is also incredibly vibrant! The Two tone Pure Silk Soft Touch Scarf is much softer and smoother, and the fabric has a subtle sheen. It is also completely opaque at one layer thick. The Silk and Viscose Stripe Scarf is the most light-weight, with alternating textured and shiny stripes, though a little see-through if not folded over. All three scarves are generously sized, and are ideal for creating folds and volume. The don't cling or hang flat as many thinner scarves will often do. 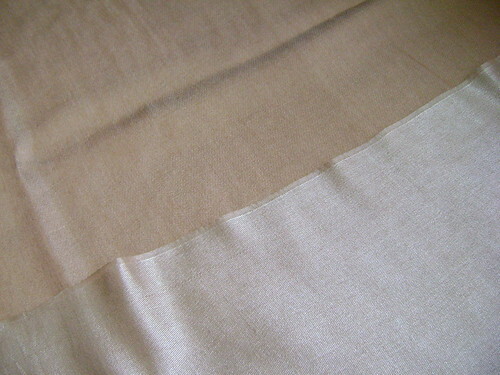 The fabrics are all non-slip and more durable than the Thai Silk Scarf which I reviewed previously. You could even wear them without pins if wrapped carefully. The Two tone Pure Silk Soft Touch Scarf has a different shade on each side, which is pretty much like getting two scarves in one! You could either wear it on one side, or play around with different styles to show both colours at once. The Plain Silk Mix Scarf is not as wide as the others (50cm), so is somewhat easier to work with. As the fabric is new, it does feel slightly scratchy, though I expect it will probably need to be washed before it can be worn comfortably. The fabics of these scarves are beautiful, and you can really tell that the quality is superior to many of the cheaper scarves that are out there. 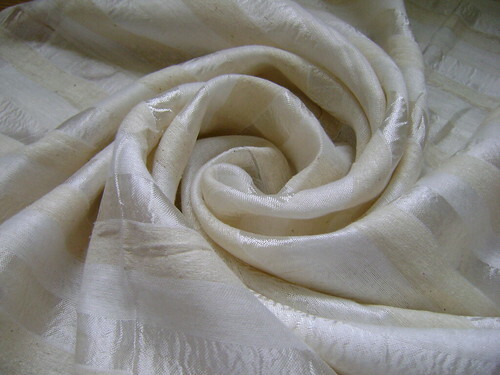 The natural fabrics are especially good for those who are sensitive to synthetics. I'd definitely recommend these if you prefer larger scarves to create more voluminous styles with. Demure Look have also recently added a range of leather bags to their website which you can view here. btw im loving ur blog!